Magic realism, in a broader perceptive has come to signify an aesthetic style or genre of fiction in which magical elements are blended into a realistic atmosphere in order to access a deeper understanding of reality and it has been widely considered a literary and visual art genre. In visual art, a term coined in 1925 by the German critic Franz Roh to classify aspects of Neue Sachlichkeit (New Objectivity) painting in which a quasi-photographic precision led at once to a sense of heightened clarity and of dreamlike strangeness. 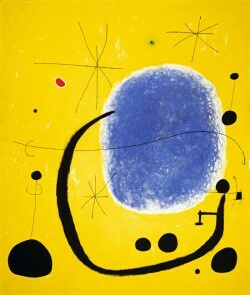 Roh also considered some non-German painters to be magical realists, such as Joan Miró and Picasso, and the application of the term has subsequently broadened to include any painting in which elements of weirdness or unreality are created by a punctilious method of depiction that seems polarized against every form of abstraction. The term Magic realism had come also to define the styles of some Surrealist paintings, such as those of Salvador Dalí and René Magritte, in which optical illusions and impossible objects are rendered with disconcerting naturalism. In literature these magical elements are explained as normal occurrences that are presented in a straightforward manner which allows the “real” and the “fantastic” to be accepted in the same stream of thought. 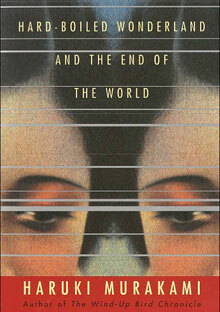 Matthew Strecher has defined magic realism as “what happens when a highly detailed, realistic setting is invaded by something ‘too strange to believe”. Quote from Matthew C. Strecher, Magical Realism and the Search for Identity in the Fiction of Murakami Haruki, Journal of Japanese Studies, Volume 25, Number 2 (Summer 1999), pp. 263-298, at 267. Julio Cortázar and his elusive stories that I’m reading this period fit perfectly in this ‘magical realism’ category. Check him out, too. Nice posting, guys! Thank you dear Ioannis. We will check him out and probably post about him too! Tool would be considered “Magic Realism” since their music is about accessing a deeper understanding of reality in a spiritual/philosophical sense. Berji Kristen: Tales From Garbage Hills by Latife Tekin is a great example of Magical Realism if you’re interested!